The Sweetest Feeling Comes Over Me Whenever I'm Asked To Create Something Very Special For A Customer. That's Precisely What Happened This Week When A Lovely Lady From The Beautiful State Of Tennessee Custom-Requested The Above Pictured Memorial Cuff. The Design Was In Remembrance Of Her Youngest Sister. I've Since Decided To Add This Design To My Etsy Shop. 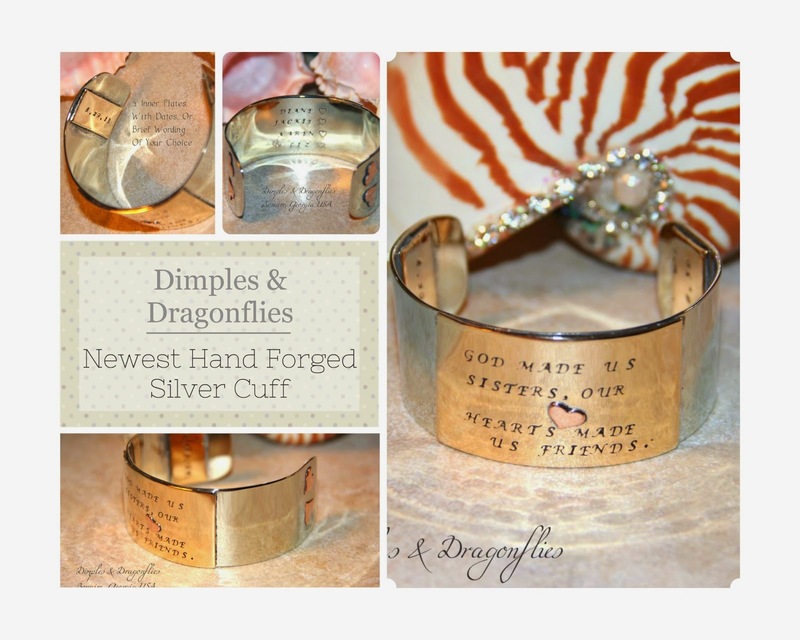 Both As A Memorial Piece As Well As To Simply Celebrate The Loving Embrace Of Sisterhood. Hope Everyone Enjoys A Blessed And Beautiful Weekend!